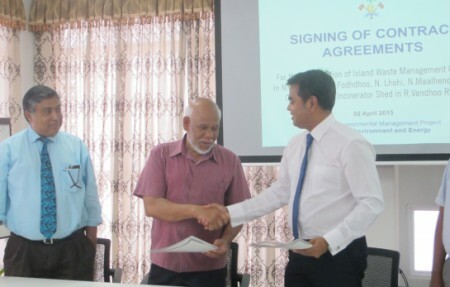 The environment ministry has signed contracts to build waste management centres in four islands in Noonu atoll and an incinerator shed in Raa atoll Vandhoo. According to the ministry, the contracts were signed last week with Wee Hour Investment Pvt Ltd and Saruh Pvt Ltd at a ceremony on Thursday (April 2). Wee Hour Investment was contracted to build the incinerator shed at an estimated cost of MVR 2.5 million ($160,000) and a waste management centre in Noonu Magoodhoo at a cost of MVR 585,260. Saruh was contracted to construct waste management centres in Noonu Lhohi, Maalhendhoo, and Fodhoo at a cost of MVR 592,087, MVR 798,617, and MVR 539,047, respectively. Minister of Environment and Energy Thoriq Ibrahim signed the contracts on behalf of the government. In February 2014, the ministry signed an agreement with Germany’s Michaelis GmbH and Co to establish an incineration plant at Raa Vandhoo to eliminate 40 tonnes of waste produced in all islands of Noonu, Raa, Baa and Lhaviyani Atolls. The US$2.6 million waste management project was funded by the World Bank and was expected to be functional by 2015. The General Manager of Michaelis Bernard Grim said the incinerator system could also be used to produce ice in the long run. Haa Alif atoll Ihavandhoo Island Council has called for a communal prayer on Friday morning to pray for relief from drought. Council President Mohamed Asif told Minivan News that islanders have run out of drinking water and are now relying on store bought desalinated water. “It hasn’t rained on Ihavandhoo for about a year. Even during the recent rains, Ihavandhoo did not receive the blessing of rain,” he said. The ‘Isthisqa’ prayer is to be held at the island’s football field. According to Asif, the island’s groundwater is no longer potable due to the intrusion of saltwater and runoff from sewage. Ihavandhoo, an island of 3000 people in the country’s northernmost atoll, has reported water shortages every dry season in recent years. Each household has a 2,500 liter tank for rainwater harvesting, but the tanks have run dry due to the prolonged dry season. Fathimath Zahira, 46, said her three-person household ran out of water last week. She spends approximately MVR60 (US$ 4) on buying water from the store every day. “God willing, I will go to the prayers,” she said. Assistant Director at the Ministry of Environment and Energy, Afsal Hussein, said water shortages are linked to climate change. “Changes to global climate are causing shorter wet seasons and prolonging dry seasons,” he said. The National Disaster Management Center has already transported 100 tonnes of water to the island in recent months. A new shipment is expected to arrive this week. Water shortages are a recurring problem on several islands and the ministry is now working on a sustainable solution to the problem, Afsal said. “Right to safe water is guaranteed by the constitution. The main concept we are using is called integrated water management which means managing all available sources of water – ground water, rain water and desalinated water – to solve water shortages,” he said. Integrated water management includes recharging groundwater aquifers, increasing rainwater harvests and establishing desalination plants. Ihavandhoo is one of the three islands were an integrated water management project is ongoing. Councillor Asif said the project will be completed at the end of the year and will provide relief from. A pioneering project to desalinate water using excess heat from electricity generation was launched in Gulhi, Kaafu atoll, in February. The project, with the potential to produce 8000 litres of clean water per day, will be used in other islands should it prove successful in Gulhi. Meanwhile, several islands in the Maldives have reported “black rain” showers in the Maldives. The Public Health Unit (PHU) in early May warned Baa atoll Eydhafushi Island residents against drinking or cooking with black rain. Similar incidents of black colored rain were reported in 2013 Haa Dhaal Atoll Nolhivaram Island and Haa Dhaal Atoll Kurimbi Island, and in Dhaalu atoll Meedhoo Island. However, little seems to be known about the health implications of this occurrence. Islanders have speculated that the phenomenon maybe acid rain. The Environment Ministry claims climate mitigation and adaptation projects have not been affected by government instability, however leaked draft Transparency Maldives reports indicate that climate governance institutions are in a state of “flux” and suffer from a lack of accountability, including the proposed Maldives Green Fund. Currently, the Ministry of Environment and Energy (MEE) is implementing MVR 3.1 billion (US$201,298,810) worth of climate projects, which does not include donor funded programs implemented by “other sectoral agencies” and NGOs, MEE Environment Analyst, and contributor to the MGF’s establishment, Aishath Aileen Niyaz told Minivan News. In an effort to merge all the currently established trust funds in accordance with the government’s Biosphere Reserve sustainable development policy, President Mohamed Waheed Hassan Manik’s cabinet recently proposed the establishment of a Maldives Green Fund (MGF). “The Maldives Green Fund is designed to work as a national entity that would comply with international fiduciary standards for enabling, appraising and financing projects,” explained Niyaz. “The MGF will act as both a funder and guarantor of projects in the areas of renewable energy and energy efficiency, biodiversity conservation, water management, waste management and capacity building and research in these areas,” she continued. 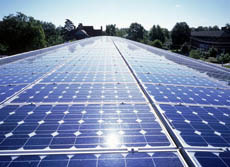 The current US$9.5 million Climate Change Trust Fund (CCTF) and US$138 million the Sustainable Renewable Energy Project (SREP) have been designed to complement the MGF, with both projects allocating resources for MGF capacity building, according to Niyaz. “It is envisaged that by the time these projects are concluded, the MGF will be in a strong enough position to take manage such funds and take on the lead responsibility for such projects and in the Maldives,” said Niyaz. She further explained that to protect climate funds from fraudulent practices “checks and balances” are in place, such as government anti-corruption procedures derived from financial laws and regulations, as well as rules of the implementing international organisation. Niyaz also claims that government instability has not affected climate finance in the Maldives. “Since most of the [climate change related] projects were ongoing at the time of [the 2012 government] transition, there was no real impact on their implementation. Furthermore, the negotiations for pipeline projects continued on pace,” she stated. Meanwhile, “It is a general concern from Transparency Maldives’ studies that institutions in the Maldives, including climate institutions, are in a state of flux and not consolidated. New ones are being created and existing ones inactive or ineffective. This results in confusion, waste, delays, and duplications,” states a Transparency Maldives (TM) MGF Policy Brief dated December 17, 2012. TM estimates that approximately US$160.5 million is being spent on various climate adaptation and mitigation projects through externally funded grants and loans, while an additional US$ 279,480,275 is required for short-medium term (10 years) adaptation and a further US$ 161,500,000 will be needed for long-term (40 years) adaption, states a Transparency Maldives Climate Governance Integrity Mapping of Climate Finance draft report. “The fact that the state is a transitional democracy, with only emergent institutions of horizontal and vertical accountability, has posed significant challenges to climate change governance. The lack of a legislative framework for the sector also exacerbates the situation,” said the report. “Moreover, the country is grappling with corruption and lacks effective governance mechanisms to address the issue. In 2010, Maldives was placed at 143rd on Transparency International’s Corruption Perception Index, with an average score of 2.3, indicating that perceived levels of corruption in the country are very high,” it continued. The Maldives lacks a comprehensible overall institutional framework and comprehensive policy for addressing climate change, which adds to the confusion of the existing climate change mandates, TM identified. Additionally, no comprehensive database of climate projects currently exists. This has resulted in ad hoc monitoring and evaluation of climate projects and institutional rivalry between ministries, according to TM. “Another major challenge in climate change governance is the lack of experts in this area. The key climate experts of the country have multiple responsibilities and a very demanding schedule to fulfill their obligations. They are on multiple governing bodies…,” noted the report. TM also highlighted the challenges that exist for ordinary citizens to gain access to information, including climate change related projects, despite the existence of a regulation on the right to information. “Given that most official institutions are based in the capital island of Male’, accessing these information is especially challenging for the majority of the population who reside in other islands,” the report stated. “In principle establishing a ‘green fund’ to consolidate climate change mitigation and adaptation money is ‘ok’ as long as it adheres to international best practices and good governance standards,” Transparency Maldives Climate Governance Senior Project Manager Azim Zahir recently told Minivan News. 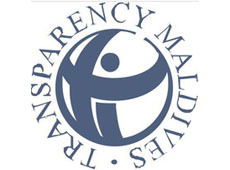 Transparency Maldives had not responded to enquiries at time of press. “One of the aims of the Maldives Green Fund is to roll out the Baa Atoll Conservation Fund – the funding arm supporting the Baa Atoll Biosphere Reserve – model to the entire country,” said Niyaz. “The MGF will provide access to funds in simpler procedures for the private sector,” she added. Essentially the MGF will function “largely as a co-financier of projects, and will work diligently to engage the financial support of other sources”, states a December 2012 draft 2 of the MGF triennial spending strategy 2013-2015. MGF financial support – in the form of direct grants, interest rate subsidies and soft loans – will be available to “public institutions (including schools, hospitals, etc), small and medium sized enterprises, NGOs, government institutions at all levels, and natural persons,” notes the document. However, it “should be additional to other available sources of finance and not a replacement for them”. The Maldives government is to provide the initial capital for the MGF, totalling MVR 3 million (US$194,805). “The Fund’s limited resources will not be used to finance projects or activities that should normally be undertaken by government institutions and financed by government budgets, e.g. compensation and salaries of government authorities, trips of governmental officials to conferences, development of laws and policies, etc.,” both the December draft spending strategy and October 2012 draft 1 operational manual specify. Despite these proposed regulations for project funding, the December 2012 MGF draft 5 legislation, provides MGF board of directors members remuneration in the form of a “fee for their work” and “reimbursement of expenses” to attend board meetings. “The level of fees for participation in the work of the Board of Directors shall be defined by the Board of Directors itself, taking into account compensation fees for Board of Directors members of similar government companies established in the Republic of Maldives and complying with the provisions of the President’s Decree as regards maximum permissible levels of administrative costs,” as stated in Fund Governence, section 2 article 12 of the MGF draft legislation. Compensation for board of directors members is also included under administrative costs in the fund spending policy section four, article 12. The MGF board of directors will be comprised of a chairperson from the MEE and representatives from the Environmental Protection Agency, Ministry of Finance and Treasury, Local Government Authority, Maldives National Chamber of Commerce and Industries, as well as Maldives Association of Tourism Industry and a non-governmental environmental organisation. 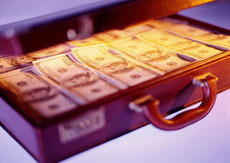 The 2013 budget will allocate US$166,320 for personnel compensation and US$7,000 for administrative expenditures. However, the MGF education and research priority area will receive US$66,690. As a supervisory mechanism, the MGF will establish an independent integrity unit and redress mechanism that will report to the board of directors, as specified in the draft legislation section 5 article 16. “In line with the provisions of the President’s Decree, the Ministry of Environment and Energy [providing a chairperson for the MGF board] shall receive full and unrestricted cooperation from the Fund in order to exercise adequate administrative control and supervision of the Fund’s operations,” reads draft legislation section 2 article 43. The draft legislation, operations manual, and triennial spending strategy documents were prepared by Æquilibrium Consulting for the MEE. MGF documents, including the Operations Manual and Legislation were not provided to stakeholders like Transparency Maldives prior to the stakeholder conference on 11 December finalising MGF documents, TM claimed in their Maldives Green Fund Policy Brief. Despite being given “insufficient time (a week)… to comment more specifically and comprehensively on documents of such a technical nature,” TM highlighted a number of MGF issues. They recommend that the MGF be established through People’s Majlis (Parliament) legislation, not Presidential Decree, given that the “MGF is created to handle large sums of public money and projects and programme implemented for the public”, said the policy brief. TM also identified the potential for MGF board members to have conflicts of interest which would “compromise independence of the directors” and recommended the government reconsider appointing an independent board. They also “encourage that declarations of financial interests and disclosure of conflicts of interest be made public,” noted the policy brief. Given that “minimal reference” is made to or incorporated from the Code of Corporate Governance, TM also recommended a code of conduct be established for all MGF employees which elaborates mechanisms, responsibilities, operations, and practices. “Bringing forward” educational awareness and research activities is also emphasised, to ensure these activities “have the necessary impact during project cycles”. China’s National Development Reform Commission (NDRC) donated 250,000 LED tube lights, amounting to 24 million Chinese Yuan (US$3,869,345), to the Maldivian government to assist with combating negative climate change impacts, reports local media. The energy efficient LED lights were donated as part of China’s provision of goods to address climate change program. The Maldives Minister of Environment and Energy, Dr Mariyam Shakeela received the donation presented by China’s NDRC Deputy Director, Mr Meng Xiangyue, on April 1. Shakeela told Sun Online the lights will be distributed to various islands and the reduced power consumption will save a large percentage of money. “This is a gratis donation to us from the Chinese Government. We will distribute the lights to all islands in the country. How we will go about this will be announced at a later date,” stated Shakeela. Shakeela also stated this Chinese government assistance to replace inefficient lights will “play a tremendous role” in reducing electricity demands. She further “expressed hope” this donation would further strengthen the bilateral relationship between the Maldives and China, in addition to combating climate change impacts. Bilateral talks between the two governments were held following the donation ceremony to further strengthen climate change cooperation, as well as “discuss approaches, areas and mechanisms for future cooperation,” reads the Ministry of Environment and Energy news statement. The Maldives government yesterday (March 3) signed an agreement to implement a waste management system that will serve four atolls in the north of the country, according to local media. Newspaper Haveeru has reported that Denmark-based contractor MT Hojgaard is to undertake work to install the system on the island of Vandhoo in Raa Atoll as part of a world bank-funded project. The project is expected to serve 45,000 people, while also creating energy from waste when complete, according to the Ministry of Environment and Energy. At a signing ceremony held yesterday to initiate the deal, Environment Minister Dr Mariyam Shakeela was quoted in local media as claiming that the project was part of an initiative that commenced in 2008 to find more regional approaches to waste management. She said additionally that the waste management scheme, which the ministry expects to be operational by early 2014, would help job creation in the area. Further plans to expand similar systems in other parts of the country are also expected, according to Haveeru. The government is moving ahead with plans to transform the Maldives into a biosphere reserve through the designation of zones across the country that would earmark land use for specific purposes such as tourism development or conservation. In approving the plan to transform the country into a “world renowned” marine reserve, members of the cabinet claimed there had been a growing number of visitors to areas such as Baa Atoll after it became a protected area. While some tourism industry figures have welcomed existing efforts to transformation areas such as Baa Atoll into bio-reserves, concerns have been raised about the efforts taken to manage such zones in balancing tourism interests with preserving local habitats. Muhusina Abdul Rahman, an analyst for the Ministry of Environment and Energy, told Minivan News that the cabinet had opted to implement the action plan following a declaration by President Waheed at the Rio +20 summit last year to make the Maldives the world’s largest marine reserve. “We consider this a good direction for development in the country, not just in terms of conservation, but as a means to improve livelihoods in a sustainable way,” she said. In an attempt to implement the marine reserve plan, Abdul Rahman claimed that rather than impose nationwide restrictions on developments and activities that could be conducted in the country’s waters, special zones would be established instead. “We have considered three zones that will set aside sensitive sites that would protect areas deemed crucially important to the environment,” she said. The zones were at present expected to be separated into three categories ranging from conservation areas and “buffer zones” around these protected sites, to “transition” areas that would be able to be developed for industrial and other purposes. According to Abdul Rahman, the action plan for the reserves had been drawn up alongside consultation with tourism authorities, NGOs, members of the fishing industry and various atoll councils. The plans, which will form part of efforts to make the Maldives a “world-renowned biosphere reserve” by 2017 have been based on a paper submitted to the cabinet by the Environment Ministry, according to the President’s Office. However, Abdul Rahman claimed that the implementation of the bio-reserve strategy was not expected to be without its challenges – not least in terms of negative public perception towards possible restrictions on livelihoods and businesses. “I would like to mention that the pubic will also be able to to propose certain sites to be awarded protected status,” she added. Baa Atoll was designated a UNESCO World Biosphere Reserve in 2011. The development was claimed at the time to be a significant achievement for the Maldives by NGOs and state organisations, who highlighted the need for efficient management. Almost two years on from being awarded the accolade, one resort general manager based in the atoll said the designation of the site as a bio-reserve had not changed operations at his property a “single bit”, despite claims from authorities about the significant marketing potential. “The bio-reserve is certainly a nice thing to have here, but I don’t think so many people are coming here because of [the designation],” the general manager stated. The resort head maintained that guests had been coming for some time to the area, which is renowned for sightings of whale sharks and manta rays. This was attributed in part to growing international attention on the nearby Hanifaru Bay, which has previously created challenges for local conservationists and resort operators. However, the resort general manager said it was “a bit too early” to assess the significance of the UNESCO designation to the local environment and population of Baa Atoll. “There are a lot of conservation organisations here with opinions on how to manage the site, but it’s taking a long time to reach agreements. I have myself expressed concerns that it is taking too long to devise how the areas should be used,” the resort head said. The general manager added that the next meeting of local stakeholders to decide a plan for managing the biosphere for the next year had been scheduled for March, further setting back potential benefits for the industry and conservationists. “By March, one quarter of the year will already have gone. There is definitely strong potential here for the reserve, but by then, the manta season may be over and we will still be waiting to vote on a plan for how it will work,” the source added. Beyond the establishment of high-profile sub-aquatic spas and restaurants in the country, some resorts are opting to play up the emergence of nearby protected marine parks and reserves. Within the seclusion of the country’s northerly Noonu Atoll, the Hilton Iru Fushi resort is one property that in recent years has been working with the country’s first Marine National Park (MNP) at Edu Faru in a bid to play up the surrounding natural appeal of the area for guests. The MNP’s management told Minivan News last year that after signing a Memorandum of Understanding (MOU) with the previous government in August 2011, guests staying at certain nearby properties like the Iru Fushi resort were cautiously welcomed to explore the protected underwater habitats. A representative for the MNP claimed last year that balancing tourist interest in the area with the need to preserve coral and other inhabitants would always create “ecological challenges” for its operations, but it was working to overcome them nonetheless. Meanwhile, back in November Deputy Tourism Minister Mohamed Maleeh Jamal claimed destinations like Baa Atoll were helping the area become a “premium destination within a destination”, adding further value to properties located in an area of strong natural interest. Along with the potential benefits of operating as a marine reserve, Maleeh claimed that the country’s status of being a protected marine reserve would not itself impact on the type of tourism developments being sought in the Maldives. These plans have included ambitious proposals such as the construction of five man-made islands to support leisure developments including a 19-hole golf course in the Maldives. Maleeh said he did not think these type of projects would be threatened by the Maldives protected reserve status, with developers still being required to work within existing environmental laws that impose several restrictions on the amount of development possible on each island. “All plans are required to undergo an Environmental Impact Assessment (EIA) and resort developers are very good at working within these parameters,” he said. In September 2012, a marine biologist working in Baa Atoll reported the discovery of the remains of a baby shark and endangered sea turtle barbecue on the uninhabited island of Funadhoo, one of the country’s 14 priority nesting beaches legally protected under Maldivian law. The Ministry of Environment and Energy will attempt to diversify how it finances infrastructure projects in order to compensate for a reduced budget during 2013. State Minister for Environment and Energy Abdul Matheen Mohamed told Minivan News that reductions to government expenditure over the next 12 months would create “operational difficulties” in its ability to provide water and sewerage projects to a wider number of islands. The claims were made as the Environment Ministry yesterday unveiled its work plan outlining developments for the next twelve months that will include water projects across 15 islands and sewerage developments on 47 islands. Despite these commitments, Matheen stressed that the ministry’s development focus has been limited by parliament last month approving a budget of MVR 15.3 billion (US$992 million). The approved amount had been cut by over MVR 1 billion (US$65 million) from the budget originally presented by the Finance ministry to parliament as part of efforts to curb concerns over a budget deficit. In order to try and make up for possible shortfalls in spending for development projects, Matheen said private sector collaborations were among initiatives sought by the Environment Ministry. “Definitely we will be facing operational difficulties due to the budget cuts, so we are trying to diversify the financing sources for the development projects and apply the maximum flexibility in the procurement process,” he explained. Along with water and sewerage projects, Matheen claimed that efforts were also under way by the ministry to secure MVR800 million (US$51.9 million) for development of the country’s energy sector. A key focus of this development would be focused on renewable energy, reflecting ongoing commitments to try and become a carbon neutral nation by the end of the decade. He added that donor funding and private sector finance was presently being sought as part of this green focus. According to local media, the Environment Ministry yesterday unveiled that state funding would be supplied for water projects on five islands, as well as the introduction of sewerage systems to a further 32 islands. Further projects on 13 other islands were reported to be funded through loans, while two sewerage systems would be implemented as part of Corporate Social Responsibility (CSR) initiatives. According to the Sun Online news service, Environment Minister Dr Mariyam Shakeela claimed that MVR315 million (US$20) was to be spent from the state budget to fund environment ministry projects. Dr Shakeela was reported as saying that an estimated MVR500 million (US$32 million) was needed to fund the total number of water and sewerage projects it had outlined for 2013. “Due to the budget difficulties we are almost not able to pay salaries in some areas. But we are working through the projects we have in hand and other ways. We are trying to find a solution by holding discussions with the Finance Ministry,” she was quoted as telling local media. Back in December 2012, State Minister Matheen claimed that there were “concerns” about the amount of funding allocated to the Environment Ministry in the proposed state budget. Despite the efforts to reallocate monies within each ministry, Jihad has maintained that the present state budget was likely to be insufficient to cover costs over the next year. “We will have to submit a supplementary budget this year,” he contended. The parliamentary committee that reviewed the state budget last month had originally recommended MVR2.4 billion (US$156 million) worth of cuts to state spending. A number of the committee’s members claimed expenditure could be reduced largely by cutting “unnecessary recurrent expenditures” within the budget such as ministerial spending on foreign trips and office expenses without impacting services.